When I think of Mazda I instinctively think of the old 1980's 323 hatchback. I relate to that car because my uncle owned one, back in the day, and it was a brilliant car, it went everywhere with no problems. Over the years there have been vast advancements in the products that Mazda has to offer, but it was done quietly, without attracting much attention to itself, and somehow they remain one of the strongest competitors to the likes of Toyota, VW and Nissan. Darryl, a work colleague, had just taken delivery of a new Mazda 3 1.6 Dynamic, and I was given the opportunity to take it out for a test drive. 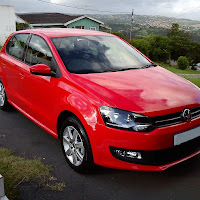 The 1.6 litre engine of this model produces 77kw of power and 145nm of torque. As I approached the car it was hard to deny the fact that this is truly a beautifully designed car, the looks alone can convince you to buy one immediately. Honeycomb grill, fogs and 17” alloys is standard attire for this variant. The 1.6 Dynamic comes with keyless operation, so as long as you have the remote on you, all you have to do is approach the car and open the door, jump in and push the ‘Start’ button, as a safety precaution you have to hold the clutch in before pushing the start button. Inside I found that there was the right combination of chrome and leather. This model comes factory fitted with leather seats, which gives it that quality feel and finish to it, as opposed to aftermarket leather. The circular instrument panel behind the steering wheel housed the speedometer and rev counter, but the on board computer screen and information panel was set in the middle of the dash a tad bit too far for my liking, and what made it worse was its location at the bottom of the windscreen, the glare from the sun made it almost impossible to see the screen from time to time. I found that the gear shift was nicely located, and by resting my hand on it I could operate the aircon and radio with ease, although the Dynamic does come with satellite controls on the steering wheel. Space wise there is absolutely nothing to complain about, for a hatch this cars legroom competes with that of sedans. As we navigated out of the parking and out onto the road I gave the accelerator a little push just to get a feel of the engine response and was pleasantly surprised, the car pulled away nicely with a sporty growl. 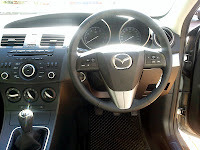 We did the route to Sibaya and back, and I found that the suspension was a bit stiff but not too much that it compromised comfort, as a result of which the Mazda perceived a sensation of trustworthy handling, which I decided to put to the test on the bends around Sibaya. The Mazda 3 had passed the test and had earned my trust. Back on the highway 5th gear was all I needed, up hills and overtaking where done with minimum effort from the 1.6 litre engine. All I had to do was put my foot down and the hatchback surged forward to do my bidding, although I noticed a considerable increase in fuel consumption whenever I put my foot down. But cruising at 120km gave me a satisfactory 7.2l/100kms fuel consumption. 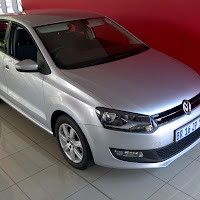 The 1.6 Dynamic is priced at R244000, but due to a in house finance discount Darryl picked it up at R194000, a massive discount that made it impossible to pass up. A 5 year 90000km service plan and 4 year 100000km Warranty is standard. I personally believe that the warranty is a year short on itself and should at least be equivalent to the years on the service plan. 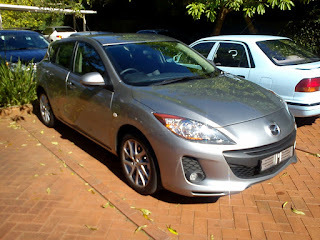 All in all I had fun testing the Mazda 3 1.6 dynamic, a brilliant mixture of luxury and power. I really think If Mazda were to get rid of the "smile" the sales of this car would double.It﻿ is almost perfect but the smile scares a lot of buyers away. I bought a white one and had the whole front painted white, it looks WAY better. I have owned a Corolla,Civic and VW and the Mazda 3 is by far my favorite although those 3 cars were older models. Good luck and shop around. I have a 1.6 active before I had a 1.6 original which I drove for three without any problems. It gave me such pleasure I had to get another. I am very particular about technical detail and this vehicle delivers. It is a well balanced vehicle that I truly love what a great car. Well written your articles have inspires me a lot of - really enjoyed reading it.The quality of content is fine & the conclusion is advantage.If you have time please visit my dynamic testing page and please leave comments. very good , perfect interior , good sound system what else do you need in a car , comfortable seats.